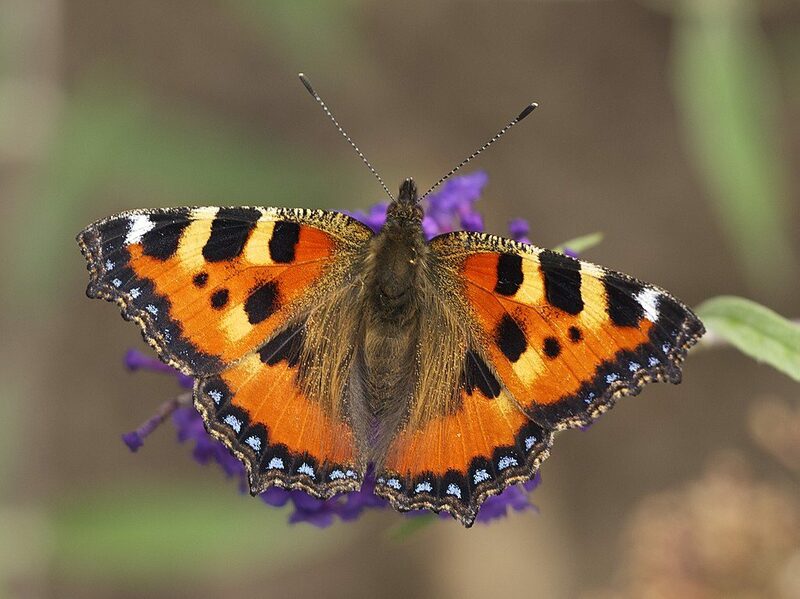 Gardeners are encouraged to plant flowers and shrubs that are rich in nectar to attract butterflies to the garden and to provide a food resource. However, when the only plants that are planted to attract butterflies are non-native species, you’re not going to have butterflies anymore. 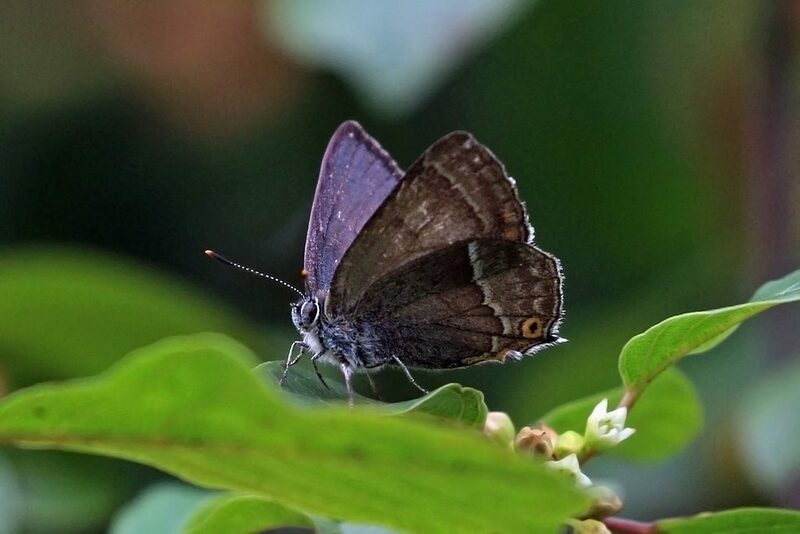 What butterflies (and other invertebrates for that matter) are really in need of are appropriate native species of host plant so they can reproduce and their caterpillar offspring can feed on the host plant leaves. It is therefore important to work more native host plants into our gardens. For example, stinging nettles are an essential food plant of comma, red admiral, small tortoiseshell and peacock butterflies. Honeysuckle is important for the white admiral butterfly, oak is the food plant of the purple hairstreak butterfly and alder buckthorn is the food plant of the brimstone butterfly. A number of residents in the Smith Hill area of Bishopsteignton have recently planted several alder buckthorn trees with the aim of attracting brimstone butterflies back to the area. According to the Woodland Trust alder buckthorn is native to most of Europe and spreads as far as western China. It is widespread but rare. Its flowers also provide a source of pollen and nectar for bees and other insects, and its berries are eaten by birds. Plants have horticultural value and can be grown as an informal hedge. It grows best in wet soils. A full list of other food plants for caterpillars can be found at http://butterfly-conservation.org/files/caterpillar-food-plants.pdf.